Encuentra Alojamientos en Valencia. Clic Aquí! 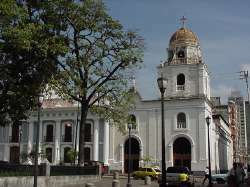 Valencia, Carabobo State capital is 150 km West of Caracas. It is an industrial booming city whose polite inhabitants and clean streets make it very special. 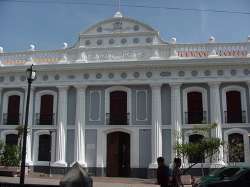 Downtown Valencia has beautiful old buildings that have been restored, like The Capitol, the local government headquarters. 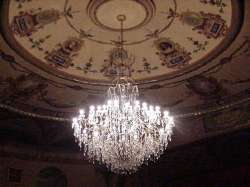 Valencia has many interesting museums where fine objects and documents of its historical past are exhibited. 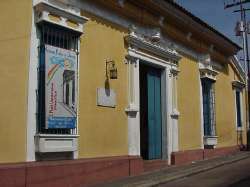 As an example La Casa Paez has on its walls paintings of several battles in which the famous Independence Hero Jose Antonio Paez participated. 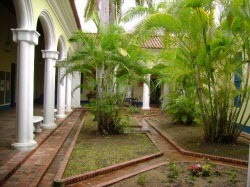 The Celis' House shows the typical architecture of colonial times. 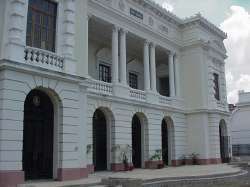 La Casa de La Estrella was first San Antonio de Padua Hospital, and then became Carabobo National College headquarters. Today, it is an interesting museum. 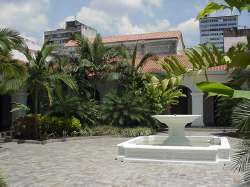 There are several parks in the city. 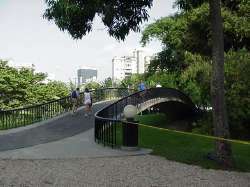 First comes Peñalver Park (Parque Peñalver) where the "valencianos" (people from Valencia) go for strolling, jogging, playing or simply relaxing. Inside the park there is a traffic school for the young ones. 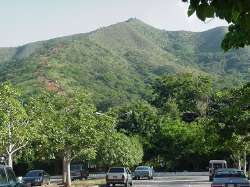 Another place well attended by fitness lovers is Cerro Casupo (Casupo Hill), a nearby hill which is daily climbed by hundreds of people to exercise legs and lungs. Two exciting places for young people are the Valencia Aquarium and Las Dunas Amusement Park. Valencia Aquarium (Acuario de Valencia) where trained "toninas" (small dolphins) charm young ones (and not so young too) with their show, and where a great variety of fishes are on exhibition. 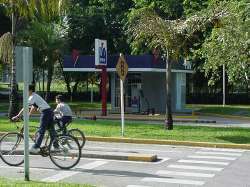 "Las Dunas" Amusement Park offers attractions to people of all ages. 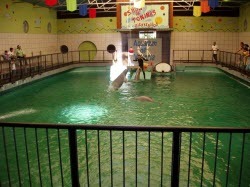 Its water slide is very appealing to young ones.On the same premises there is a zoo that keeps a wide number of animals. 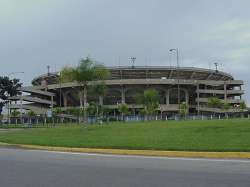 The "Plaza Monumental de Valencia" one of the largest bullrings in Latin America (second only to Mexico's ring) is not only a place for bullfights, but also for musical shows and many other public entertainments. 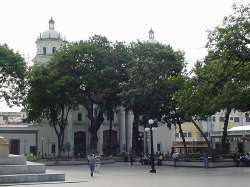 A half an hour driving west from Valencia, there is Parque Carabobo, site of "Carabobo Battle" historically important for being the one that definitely set Venezuela a free country. Luis José Cazorla - Sacerdote carabobeño. 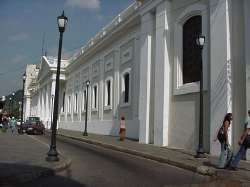 Diputado al Congreso de 1811 y firmante del Acta de la Independencia. Fueron sus padres Félix de Cazorla y Clara Páez de Vargas. 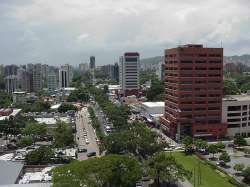 En noviembre de 1810 fue electo diputado para representar a esa ciudad en el Congreso que debía reunirse en Caracas.